Last week, Senator Debbie Stabenow was in Grand Rapids meeting with representatives from the agribusiness sector, according to MiBiz. While it is true that agribusiness brings $70 billion to the state of Michigan, much of that profit goes into the hands of the agribusiness sector and does not provide a significant benefit to most Michigan families. In fact, Michigan taxpayers subsidize the agribusiness sector to the tune of millions each year. 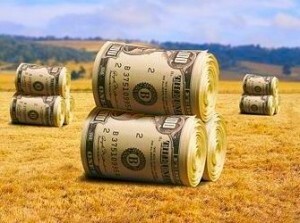 According to the Environmental Working Group, agribusiness subsidies have totaled $4.11 billion from 1995 – 2009. The amount of these annual subsidies is exactly why the general manager for Country Fresh was so delighted to have a visit from Senator Stabenow. Country Fresh has also been the recipient of huge taxpayer subsidies and according to the Environmental Working Group the dairy sector (which Country Fresh is part of) received $208,146,457 from 1995 – 2009. One of the main reasons that the agricultural sector receives such high taxpayer subsidies is because they lobby Congress to provide them with these huge cash payments. According to the Center for Responsible Politics, the Agribusiness sector has spent over $500 million dollars in the last 20 years in order to receive hundreds of billions of dollars in federal subsidies over the same period of time. Dean Foods, the parent company of Country Fresh, has contributed $665,200 alone in the past year to members of Congress. 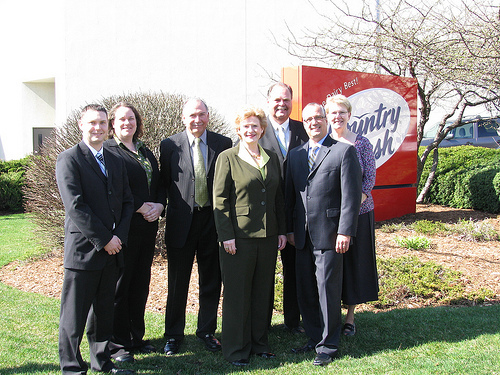 The other reason that Country Fresh management was happy by Senator Stabenow’s visit is because she is the chairwoman of the U.S. Senate Committee on Agriculture, Nutrition and Forestry. Country Fresh invited Stabenow to one of their food processing plants in order to continue a relationship with the Senator, especially now that she is the chair of the Agriculture committee. Senator Stabenow will be chairing the first of several hearings in Michigan on the 2012 Farm Bill, which will determine the amount of future taxpayer subsidies to agribusiness. This hearing is set for Tuesday, May 31st, from 9AM til Noon in the Kellogg Center at Michigan State University in East Lansing. Country Fresh will no doubt have it’s own representatives at such a hearing and inviting Senator Stabenow to Grand Rapids just weeks before the hearing no doubt will be beneficial for them in terms of future subsidies. ← Hueys Over Yemen: Is U.S. Aid Suppressing Another Mideast Freedom Struggle? Ha! I was doing research for the “blueprint” and this popped up! Great Article!